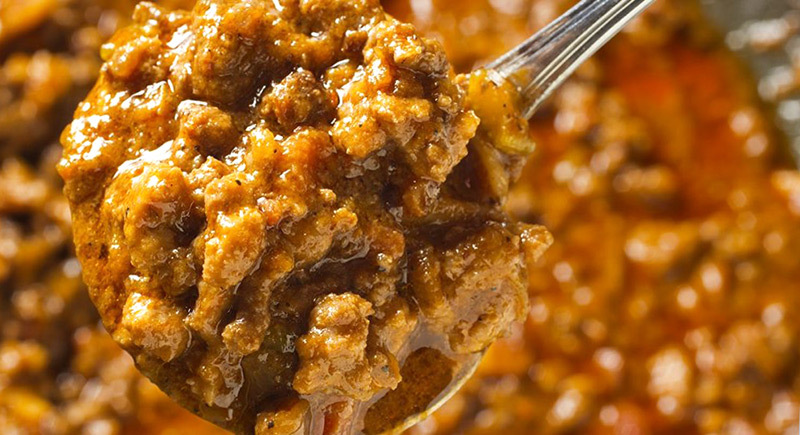 Bolognese Sauce, also known as ragù alla bolognese in Italian and sauce bolognaise in French, is a meat based sauce originating in Bologna, the capital city of the Emilia-Romagna region, Italy. 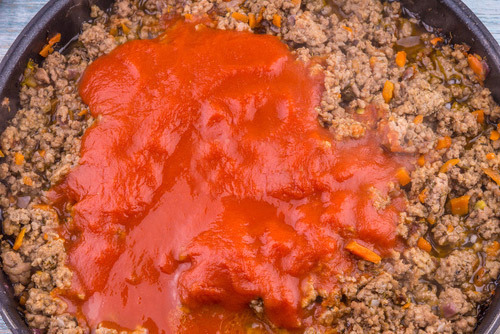 Authentic Bolognese sauce have whole meat and very little tomato, perhaps a couple of tablespoons of tomato paste. 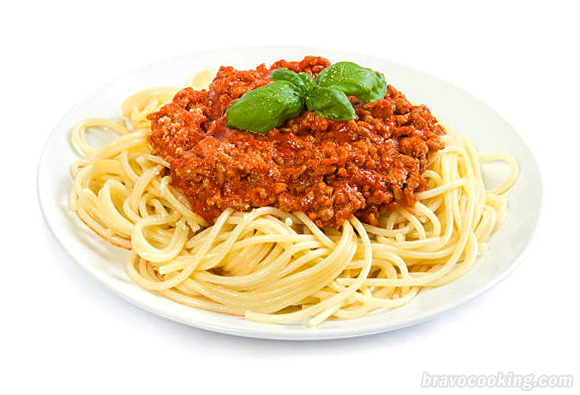 In the United States, the term ‘bolognese’ is often applied to a sauce that bears little resemblance to the sauce served in Bologna. Here it is typically made by simmering ground beef in a tomato based sauce with wine and stock for 30 mins to 1 hour. It was traditionally served over freshly made tagliatelle pasta; now it is often served with rigatoni or used as the stuffing for cannelloni or lasagne. Heat olive oil and butter in a large pot over medium-high heat. Sauté the carrots and onions, stirring frequently until tender. Stir in the sausage and beef. Cook, stirring occasionally, until beef is brown and sausage is no longer pink. Drain the excess fat and add the wine. Heat to boiling, then reduce heat to low and simmer uncovered until wine has evaporated. Drain juice from tomatoes and chop them in the can with a sharp knife. Add the tomatoes and the rest of the remaining ingredients. Bring to a boil, then reduce to a very low heat, cover and simmer 45 minutes or 1 hour stirring occasionally. Serve sauce immediately, or keep in the refrigerator for a couple of days or freezer for several months. To make the taste of the dish stronger I would recommend adding basil leaves. As a result, when simmering this sauce for 1 hour at least, it has a very rich taste and strong flavour. The Bolognese meat sauce serves well with tagliatelle pasta. Cook the tagliatelle (400g). Drain thoroughly. Pour the sauce over the pasta. Garnish it with a grated Parmesan cheese and basil.